Video of the first episode is below. Last updated April 10, 9:30 pm ET. Regular readers know that among my various causes – patient-centered care, patient access to our medical records, etc – is the importance and challenge of managing our health costs. For years I’ve blogged about my own experience – see the list of posts below. 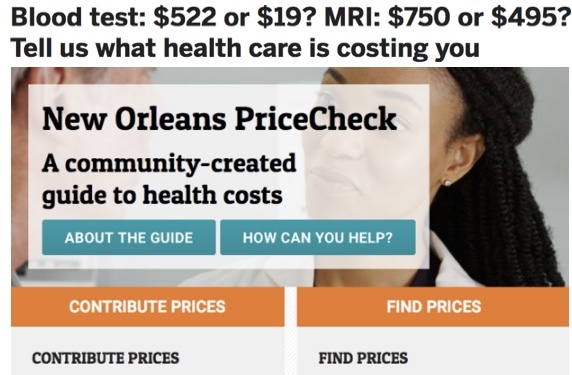 Occasionally I’ve blogged about my friends at ClearHealthCosts, who have been busting their butts to … well, make health costs clear. And for years I’ve wished we had more public attention on this crazy situation. Because when costs are chaotic, it can be hard to get the care your family needs without getting hurt in the process. How ironic is that? 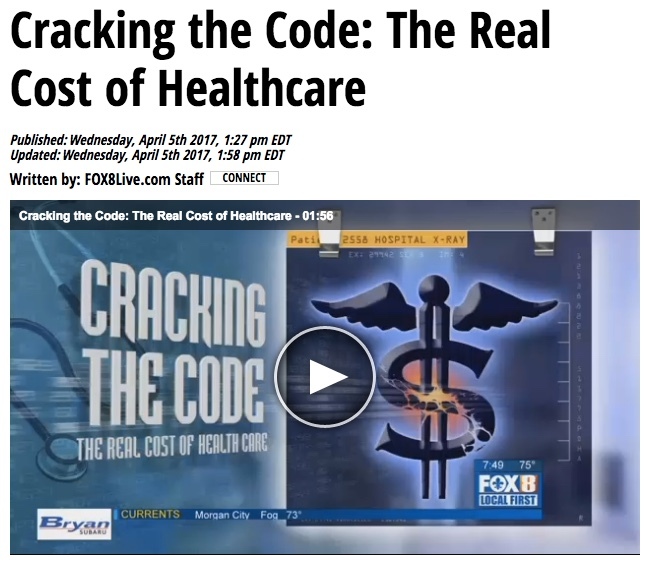 So I’m thrilled to say that WVUE in New Orleans (“Fox 8 NOLA”) started a new series April 5, “Cracking the Code: The Real Cost of Health Care,” followed immediately by a print series by the Times-Picayune‘s Jed Lipinski. From what I’ve seen so far, each is spot-on. ClearHealthCosts is a big part of the project. To my surprise a simple Skype interview that I did was used in the first TV episode. I can’t wait to see more. It’s all new so for the moment I’m quickly adding this page to my site … I’ll update it when I can. For now, here’s video of the first episode, and below are my past posts on health costs. I hope it helps. You can also browse my entire cost-cutting category. 12/11/12: Reprise: The healthcare waste pit is BIGGER than the fiscal cliff. 2/20/12: It turns out being an engaged patient/consumer takes time. 2/9/12: Time to practice what I preach: I have skin cancer again. 11/5/11: Let Patients Help, Cost-Cutting Edition, part 1: a bill.